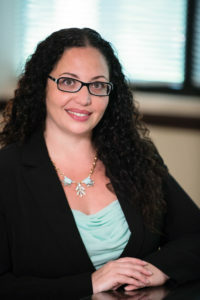 Florida Automobile Accident Trends – Diana I. Castrillon, P.A. Automobile accidents are an unfortunate fact of life. There is some risk involved every time an individual gets behind the wheel of their car or truck. No matter how good a driver someone is, and inattentive moment or miscalculation by another driver can lead to disaster. While crashes have become much more survivable with the addition of safety measures like air bags, antilock brakes, three-point rear seat belts and reinforced crumple zones, manufacturers have not yet devised a way to prevent accidents from happening altogether. Until they do the safest course of action is to drive defensively and with a clear head. According to the statistics in the state of Florida in 2007, there were 256,206 crashes. That translates to about 702 traffic accidents every single day. Law enforcement officers are required by the state to submit a report any time they are called upon to investigate an accident that involves personal injury or death as well as what types of contributing factors were involved. This makes it possible for regulators to come up with a reliable report as to how many accidents involve someone leaving the scene and whether or not alcohol or narcotics were involved. During 2007 there were 366,917 drivers involved in traffic accidents. These accidents resulted in 3’221 deaths. Those deaths occurred in 2’947 different fatal accidents. While deaths are fairly rare, injuries are not. 212,149 injuries resulted from 135,601 accidents. Of the over a quarter of a million accidents that happened in 2007, 117,658 resulted in property damage only. Alcohol was at least partially to blame for 22,823 of those accidents and drugs were involved in 1,252. It is not just cars that get in accidents, as motorcycle crashes accounted for 9,205 of all accidents that occurred in 2007. Pedestrians and bicycles were also involved in these traffic collisions accounting for 8,129 and 4,847 respectively. The same state agency that came up with those sobering figures also reported that drivers between the ages of 15 and 19 were involved in more accidents than any other age group and also suffered more fatal crashes. Not surprisingly, drivers between the ages of 20 and 24 were involved in the highest amount of alcohol related accidents of any age group. Most accidents within the state of Florida during that year occurred on Friday and Saturday evenings. Being aware of surroundings and never driving impaired are two of the most important things that any driver can do to prevent themselves from being involved in an auto mobile accident.